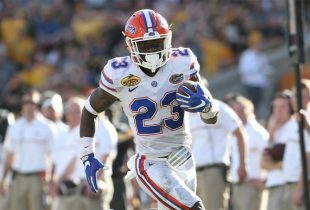 It’s not a stretch to say that two of the Florida Gators‘ best players deciding to return to the program rather than declare for the 2018 NFL Draft is a massive win for head coach Dan Mullen. 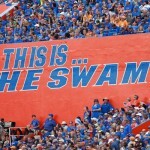 That’s exactly what happened this week as juniors defensive end Cece Jefferson and offensive tackle Martez Ivey announced they will remain in Gainesville, Florida, for their final year of eligibility. For what it’s worth, redshirt junior tight end C’yontai Lewis tweeted Wednesday that he “left a lot of money out there” with his decision to come back for his fifth year. “That jus means I gotta go extra hard this year,” he added. 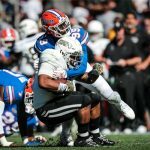 The returns of Jefferson and Ivey are crucial for a Florida team that needs veteran leadership — and talent — next season under a new coach. 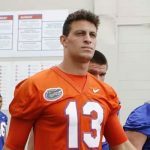 It also means the Gators’ representation in this year’s draft should be not decimate the team with only junior defensive tackle Taven Bryan, junior wide receiver Antonio Callaway and redshirt junior kicker Eddy Pineiro choosing not to use the rest of their eligibility. Junior running back Jordan Scarlett, who like Callaway was suspended for the entire 2017 season due to credit card fraud, has not announced his intentions at this time. That is great news. I applaud them in choosing experience over money. I sure hope that we have a great year next year and the memories and triumphs they have will be with them for the rest of their lives and vindicate their decisions. There is more to life than money. I really respect and admire that and wish them success. They deserve it!